Arthroscopy is a minimally invasive procedure that uses a camera to look within a joint, rather than opening it completely. Orthopedic surgeons use arthroscopy to diagnose, treat, and repair numerous conditions and diseases that may cause joint pain or mobility problems. Are you suffering from knee, shoulder, or ankle pain or stiffness? Arthroscopic surgery may be an option for you. Arthroscopic surgery first became known to the public through its use in treating sports injuries sustained by high-profile athletes — for example, meniscus tears in basketball players, severe cases of runner's knee in marathoners, or rotator cuff tears in football players or baseball pitchers. Today, arthroscopy is used to treat non-athletes as well. 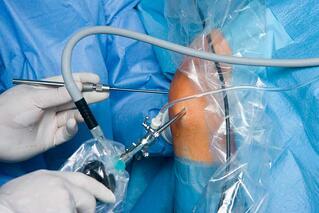 An estimated 80% of orthopedic surgeons practice arthroscopy on their patients. Orthopedists find arthroscopy valuable because it is generally easier on the patient's body than open surgery and requires a shorter rehabilitation time. Is arthroscopy an option for you? Below are brief descriptions of some of the most common knee, shoulder, and ankle problems that may benefit from arthroscopic surgery. Using arthroscopy, your surgeon will repair these issues with surgical techniques like suturing, inserting pins or rivets, or repositioning bones. Most knee arthroscopy procedures take about one hour to complete, usually in an outpatient surgical center. You will be given anesthesia (in most cases, local). A surgeon will make a few small incisions in your knee. Saline (salt water) will be pumped in to expand the joint. This creates space to help the surgeon see and maneuver inside the joint. The surgeon will insert the arthroscope (a thin instrument with an attached camera) through one of the cuts. Images from inside your knee will be projected on a monitor, where they can be magnified. After your problem is located, the surgeon may insert additional, small surgical tools to correct the issue. After the surgery, the surgeon will drain the saline from your knee joint and close your incisions with stitches. Post-surgery, you will be discharged with instructions for caring for your incisions. You may need to take pain medication, elevate your knee when resting, and apply ice to your joint to manage swelling. Walk with crutches during your recovery to protect your knee until it is fully rehabilitated. Your orthopedic surgeon will make recommendations for exercises or physical therapy. Recovery time from knee surgery varies. Most patients can return to school or work within a week. After prescribed physical therapy, many can return to normal, active lifestyles within one or two months. Depending on your injury or issue, your surgeon may bring the edges of a torn tendon together, then attach the tendon to the bone with sutures or metal or plastic rivets. Surgery may also require cleaning out or removing damaged or inflamed tissue or cutting a ligament. 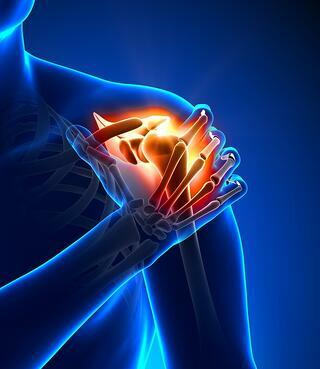 Shoulder procedures take about one hour in an outpatient surgical center. Recovery varies, but most patients go home the same day and take a few weeks to a few months to heal. You may need apply ice, take pain medication, and wear a sling while your rehabilitate your shoulder. Your orthopedic surgeon may recommend physical therapy to help strengthen the shoulder joint and restore range of motion. Depending on your ankle injury or problem, your orthopedist may need to wash out your joint or shave away excess bone or remove tissue. Ankle procedures take about one hour in an outpatient surgical center. Most patients go the same day. Full recovery of the ankle joint may take a few weeks to a few months. If your injury cannot bear weight, you may need to use crutches while you heal. A brace or walking boot may be necessary. Physical therapy may also be recommended. Following your orthopedist's instructions will help you get back to your normal activity level sooner. The answer depends on many factors, including your age, health history, lifestyle, and medications you may be taking. Give Coastal Orthopedics located in Corpus Christi a call to find out if arthroscopy may be the right choice for treating your knee, shoulder, or ankle pain.